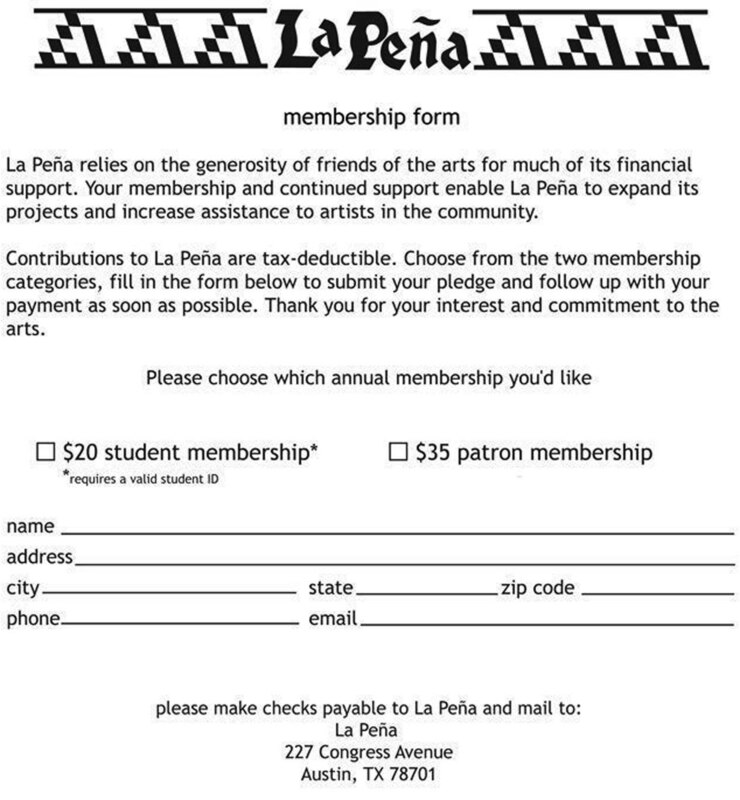 La Peña relies on the generosity of friends of the arts for much of its financial support. Your membership and continued support enable La Peña to expand its projects and increase assistance to artists in the community. invitations to upcoming art openings and and events. Contributions to La Peña are tax-deductible. The annual cost is $20 for a student membership and $35 for a patron membership.